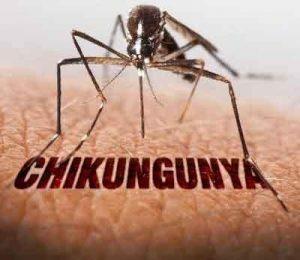 New Delhi : With most of the 10 chikungunya deaths in the national capital being of elderly people, health experts say there are more chances of elderly patients succumbing to the vector borne disease due to their low immunity levels, combined with chronic health problems like heart or kidney ailments. Terming the process as Trigger Mechanism, experts treating chikungunya, dengue and malaria patients, also categorically stated that no one dies of chikungunya, but if a person has a history of a chronic disease then it may get aggravated or reactivated by the chikungunya virus, leading to death. “It’s all about the immunity level. Though chikungunya cannot kill someone it can trigger the problems of an old chronic disease. In case an elderly patient suffering from kidney or cardiac disease gets chikungunya, then there are chances of the kidney and the cardiac disease to become severe, leading to death, as immunity level is very low then,” Sumit Ray, who heads the critical care unit at Sir Ganga Ram Hospital, told IANS. “The problem can be severe among those who already have kidney problems, chest infections and heart diseases. The virus can stop the functioning of the organs. This is mostly common among elderly patients with low immunity power. The whole story is about immunity,” said Ray. “The blood pressure starts affecting all the organs once it is out of control, which can lead to multi-organ failure, leading to death. People who have good immunity can survive it, but elderly patients who do not have good immunity have less chances to survive in such situations,” Byotra told IANS. Reiterating the fact that no one is dying of the chikungunya virus, Lalit Dar of All India Institute of Medical Sciences (AIIMS) said that people are also suffering from other chronic disease at the same time which in combination with chikungunya causes death.